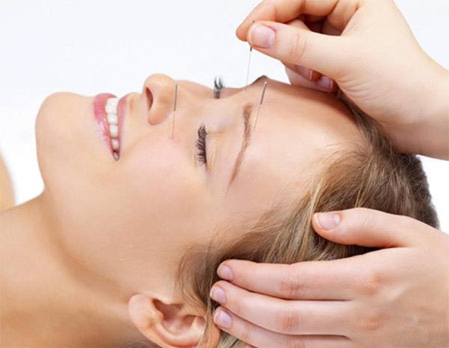 Acupuncture, ATMAT & Skincare - Acupuncture and Integrative Medicine Clinic in Fort Lauderdale, FL "
A comprehensive Traditional Chinese Medicine exam and gentle acupuncture treatment focused on diagnosing and alleviating the root cause of imbalance and/or pain. Infrared heat, cupping, laser acupuncture and dietary therapy may be utilized. Initial visit 60 min, Follow up 30 min. For our patients undergoing IVF treatment, we also offer on-site acupuncture on the day of transfer at most South Florida IVF locations. Florida Complete Wellness is also the only acupuncture clinic to be contracted with Memorial Hospital in Broward County to offer acupuncture during labor on-site. Additionally, we are also able to offer on-site postnatal massage at Memorial Hospital Miramar, Memorial Hospital West and Memorial Regional. Relaxing Swedish, Lymphatic, Prenatal and Deep Tissue Massage is employed to alleviate stress and promote pain alleviation where needed. At Florida Complete Wellness, we know that deep and lasting healing are only possible when the root causes of illness are addressed. By understanding the core systems of the body, how they are related, and how their function can be restored, many chronic illnesses can be prevented and even reversed. Like all detectives, we use a variety of tools in our investigations, including, detailed questionnaires, a thorough medical history and examination, and comprehensive laboratory tests (blood, urine, stool and saliva testing). We then use nutritional therapy, Chinese herbal medicine, supplements, stress management, detoxification, and lifestyle changes to eliminate triggers and restore proper function and balance. Are motivated to play an active role in their own healing process. Acupuncture Point Injection, or Acupoint Injection Therapy (AIT), is an integrative therapy that blends the best of Chinese Medicine with conventional and homeopathic medicine. Employing this technique, AIT certified Acupuncture Physicians inject natural therapeutic substances, such as homeopathic remedies or vitamins, into acupuncture points specific to your wellness needs. AIT is particularly effective for the resolution of acute and chronic pain in the body, particularly in the shoulder, back, knee, and neck. We also use AIT techniques in many of our weight loss protocols, Cosmetic Acupuncture programs, and even our B-12 injections. Sometimes referred to as “biopuncture,” AIT earned well-deserved attention in early 2011and again in 2014 when Dr. Mehmet Oz featured the therapy on his television show. In order to utilize AIT as a therapy, licensed Acupuncture Physicians must complete additional didactic and clinical training beyond their traditional education. An additional 60 hour certification in AIT must be earned in order to practice this technique. The practice of Gua Sha comes from Traditional Chinese Medicine and dates back to the Ming Dynasty (1368 – 1644) when they used jade stones to scrape the skin all over the body to treat diseases. This process is believed to stimulate blood circulation to the muscles, tissues and organs; detoxing the body of stagnate “qi” reducing stiffness, pain and increasing mobility (Singapore TCM College). While some may view Gua Sha as folk medicine, western scientific studies done by Harvard University and the University of Duisburg-Essen in Germany, have showed Gua Sha to show significant improvements in decreasing pain and increasing microcirculation. The practice of Gua Sha facial (much gentler than the body therapy and does not cause redness) has recently become more popular. Many have dubbed it the “Eastern Face Lift” or “Eastern Botox,” for it’s abilities to smooth fine lines and wrinkles, plump, tighten and rejuvenate skin; even decrease dark under-eye circles and puffiness. Similar to body gua sha, the gua sha facial application stimulates blood circulation and detoxification, while relaxing tense muscles that cause wrinkles to form. This treatment takes 30-45 min, and is accompanied by a soothing Chinese herbal facial massage and take-home guasha stone of your own. *Please note that because this treatment focuses on skin rejuvenation, extractions are not included. If you have facial areas treated with Botox or fillers in the last 3 months, these areas cannot be treated with Facial Gua Sha. Your skin color is reflecting the current state of health of your body. For instance, many people have problems with acne. Who does not know the feeling of waking up on an important day and to see a large pimple on their face? According to TCM, the spot where acne forms often indicates the place where the problem lies. Forehead: indicates you have a heated heart. Often observed in people with lack of sleep or stay up too late/all night. Area around the nose: indicates you have heated stomach and lungs. Often observed in people that have a poor digestive function. Left cheek: indicates you have a liver imbalance. This is often relation to people that suffer from mood swings and has problems with liver detoxification. Right cheek: indicates there are lung function disorders. Often occurs to people that are sensitive and have problems with their respiratory system. Area around the lips: indicates you have disorder in the large intestine and digestive system. Often occurs to people that quickly suffer from diarrhea or have constipation issues. Chin: indicates there are problems with your reproductive organs. Often occurs to people that are facing a lot of pressure and stress or have endocrine disorders. Instead of relying on antibiotics or other strong medicine, get your facial skin examined by our TCM doctor who can determine which of your body organs aren’t functioning very well. How Does TCM Help with Beauty? The TCM doctor will firstly consider your whole body constitution and determine what symptoms are already there. By doing a thorough examination, the TCM doctor can then prescribe you a customized treatment course. Treatments are aimed to eliminate body imperfections and enhance the beauty of the skin, hair, and face by regulating organs, meridians, and the movement of Qi and blood. Such treatments include acupuncture, Chinese medicine herbs, cupping, gua sha, moxibustion, particular diets, herbal masks, and medicated baths.